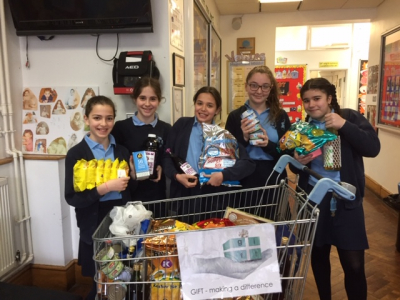 The run up to Pesach has been extremely busy at Charity GIFT, with food collections and educational sessions in schools and communities involving thousands of students across London, Manchester & Israel. 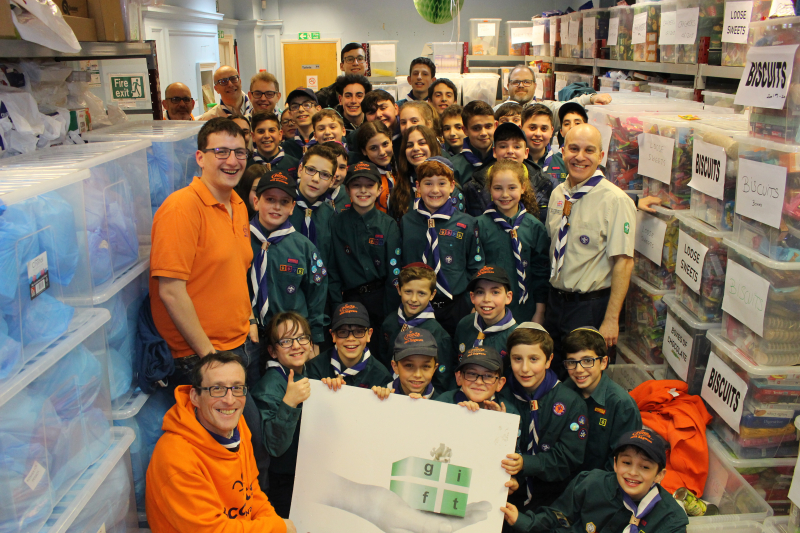 In London, food drives took place in North West London Jewish Day School, Independent Jewish Day School, Sacks Morasha and Rimon Primary School. 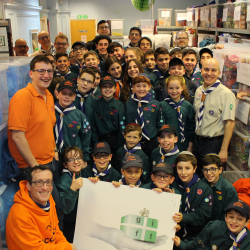 Brownies and rainbows from 5th Mill Hill, Cubs from 11th Edgware and scouts from 16th Edgware came to the GIFT warehouse for a special GIFT Pesach food packing session. GIFT sessions in Hasmonean Girls' School involved a special interactive Pesach activity for hundreds of students; whilst Immanuel College, Yavneh and JFS students put together Pesach crockery sets which were given out to families and care homes for the festival. In Manchester, Broughton Jewish Primary School, Jewish High and King David Primary School ran packing sessions and made over 200 Seder Plate mats & Pesach themed decorations for Heathlands Care Home and Beenstock Old Age Home to be used on Seder night as well as packing up cutlery sets and new utensils to go out to recipient families. In Israel, activities run for over 1000 pupils in schools across Jerusalem, included making placemats and coasters for old age homes, card games for kids in hospitals and afikoman bags for the elderly. Communal food drives and packing sessions were organised in conjunction with Jerusalem municipality. GIFT gave out thousands of pounds worth of Pesach food to families prior to the Festival collected from Pesach GIFT boxes outside shops and generously sponsored by the Israel Lazarus Charitable Trust as well as private donors.